Today sees the launch of the brand new Cinefex visual effects blog. It’s just gone live so, frankly, the best thing you can do is stop reading this and go there instead. The inaugural post is written by Cinefex publisher Don Shay, and it does a splendid job of setting out the new blog’s agenda. While the parent magazine’s mission remains unchanged – “to report rather than editorialize, to remain diligently objective, rather than subjective” – the blog will be more, you know, bloggy. This loosening-up process gains pace tomorrow with the publication of the first post by the blog’s regular writer. I’ll be posting daily articles on the Cinefex blog throughout the rest of this special launch week, talking about whatever’s caught my eye in the world of visual effects. Next week I’ll settle into a regular Tuesday slot, with other contributors chipping in from time to time. 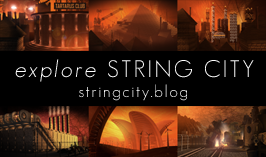 To make sure you don’t miss a single post, visit the blog now to subscribe. 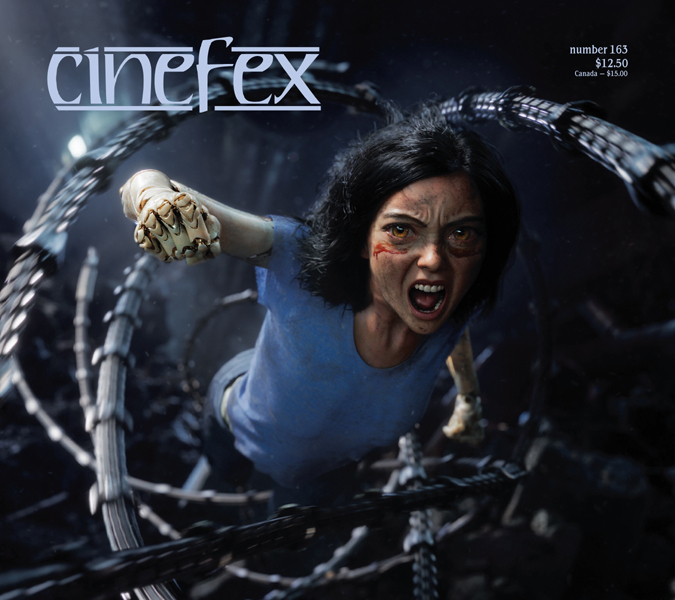 Cinefex is a quarterly journal devoted to cinema visual effects. Its unbroken print run began in 1980, when it covered the films Alien and Star Trek: The Motion Picture. Since then, it’s delivered in-depth coverage of almost every major effects film, as well as a host of minor ones. The list is truly enormous, and includes the Star Wars trilogies, Jurassic Park, The Matrix, Avatar. The latest issue digs beneath the skin of blockbusters from the summer of 2013, including Elysium and Pacific Rim. In recent years, Cinefex has expanded its offering to include an online version of the print edition, plus an interactive iPad edition featuring double the quantity of behind-the scenes photos and stunning video content. Next year, the magazine’s entire 33-year back catalogue will be available for download through the groundbreaking iPad app. With its daily updates, the Cinefex Facebook page has become an essential destination for visual effects professionals and fans alike. We are moving toward a time when the only limitation on a filmmaker is his or her imagination. But that will only be true if we stay abreast of the skills and technology the visual effects industry has to offer. Cinefex is the one true source. Read it to expand your vision. Thanks, Graham — for the kind words about Cinefex, and for signing on as our official blog columnist. Our readers enjoyed your “Revisiting Cinefex” posts on your personal blog, and I’m certain they’ll enjoy your take on current happenings in the visual effects world even more. Welcome aboard! Thanks for inviting me, Don. I think it’s going to be an entertaining ride! Has anybody ever considered reprinting early issues in hardback in a similar way to how Titan published the Blade Runner issue in book form, or maybe a Cinefex Vol.1 reprinting issues 1-4 in a book? Might be expensive but it’d be gorgeous on the bookshelf. I really think the early issues have real historical merit and written well enough to warrant such treatment. They don’t write magazine articles like they used to (I count Cinefantastique alongside Cinefex in that). Preparations are being made to reissue those early editions right now, albeit in digital form. The entire back catalogue of Cinefex will soon be released for the iPad, thanks to the successful Kickstarter campaign mounted by New Scribbler Press.